With so many fragranced products available these days, sometimes an unscented product can be a breath of fresh air! Unscented Eucalan is an excellent choice for those with scent sensitivities, but it’s also an ideal choice for anyone who doesn’t want to experience clashing fragrances on laundry day. Fragrance allergies are on the rise, and did you know that many supposedly unscented products actually contain fragrance to “hide” the natural scent of its ingredients? 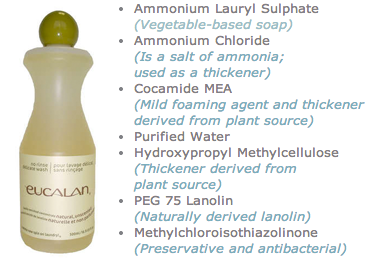 While Unscented Eucalan does not have the moth inhibiting properties of our Lavender and Eucalyptus scents, it does condition fibres with naturally derived lanolin – which also repels dust mites! 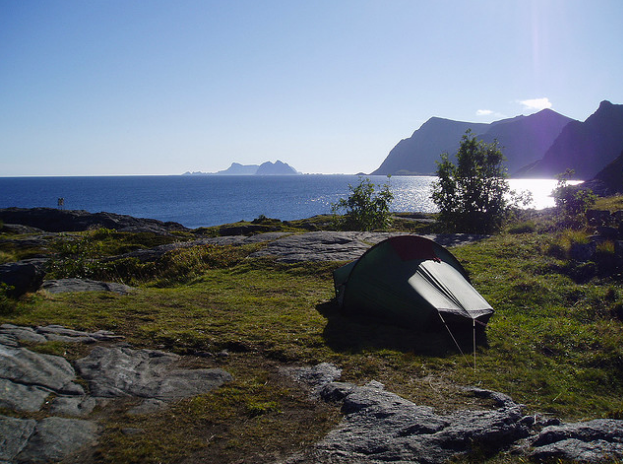 It’s an excellent choice for the whole family, and if you plan on spending time in the great outdoors, using Unscented Eucalan to wash your camping and hunting gear will ensure that you don’t attract any unwanted visitors! Knit and crochet designer Kristin Omdahl has been keeping busy this summer! 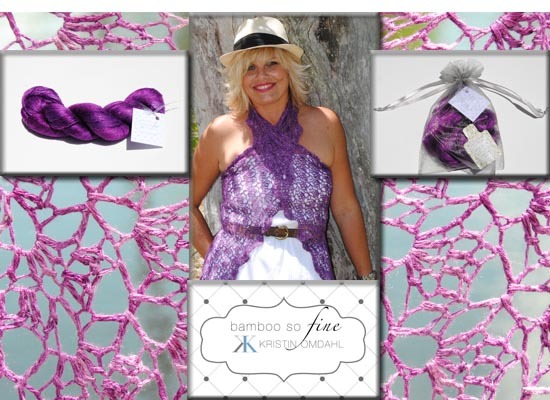 Her latest endeavor is her own line of beautiful yarn called Bamboo So Fine. This lustrous and silky yarn pairs perfectly with Eucalan’s Wrapture by Kristin Omdahl, which is infused with the intoxicating aroma of night-blooming jasmine. Each skein of yarn has generous yardage and comes in your choice of exquisite colors; Kristin also includes patterns and a sample of Wrapture with each purchase! Most knitters and crocheters find that long crafting sessions leave their hands feeling dry, so we recommend adding a tin of our Wrapture Fragrant Balm to your knitting bag! This emollient product absorbs quickly, leaving your skin moisturised without any residue that could transfer to your project. It’s great for taming cuticles and rough patches, plus you can apply to your pulse points for a pleasing natural fragrance. If you’re curious to learn more about Wrapture Fragrant Balm, check out this recent product review on the Rock + Purl Podcast to learn more!